Every so often, a product comes along that causes an entire industry to change its thinking. In the world of air conditioning, the XC25 has done just that. Thanks to revolutionary Precise Comfort technology, the XC25 maintains a consistent temperature by making tiny, ongoing adjustments to its output throughout the day. Exacting precision is also what makes the XC25 the most efficient air conditioner, with an industry-high SEER (Seasonal Energy Efficiency Ratio) rating of up to 26.00. * For savings year-round, the XC25 can be combined with SunSource solar modules, allowing you to use energy from the sun to reduce your cooling and heating bills by up to half. On top of all this, it offers the lowest operating noise levels of any air conditioner available. It’s simply the most advanced, most capable air conditioner ever created.SilentComfort Fan Grille Uses patent-pending, vortex-suppression technology to reduce sound of airflow exiting unit, providing a quieter environment outside your home. The key to the XC25’s precision lies in the variable capacity of the inverter-driven compressor. Because the XC25 is installed with the iComfort Wi-Fi thermostat, the compressor can adjust output to any level between 35% and 100% in increments of 1%. So the XC25 only uses the exact amount of energy you need to stay comfortable, while maintaining your desired temperature with exacting precision. Provides extremely reliable starting and running performance, even under the harshest outdoor conditions. Allows the XC25 to exchange information with other home comfort system components and make adjustments as needed to optimize performance and efficiency. Provides exceptional heat transfer and low air resistance for high-efficiency operation that can lower your cooling bills. Compressor Adjusts output in increments as low as 1%, allowing the unit to perfectly cool your home using minimal energy. Plus, it comes with U.S. EPA-approved R-410A refrigerant. Heavy-gauge, galvanized steel construction, louver coil guard, baked-on powder finish and durable zinc-coated steel base provide long-lasting protection against rust and corrosion. When summer days get long and hot, a basic air conditioner can keep you cool and relaxed in your home. The XC21 from the Dave Lennox Signature® Collection keeps you completely exhilarated. But as good as the XC21 makes you feel, what’s even cooler is the innovation behind it. Precision-engineered with two-stage technology, it automatically provides more or less cooling as necessary to maintain a consistent temperature throughout your home. All the while, it’s working to keep energy costs and sound levels at an absolute minimum. Quite simply, it’s the quietest and most efficient two-stage central air conditioner you can buy. * So it’s not only beyond cool—it’s also beyond compare. Uses patent-pending, vortex-suppression technology to reduce sound of airflow exiting unit, providing a quieter environment outside your home. Provides extremely reliable starting and running performance, even under harsh outdoor conditions. Allows the XC21 to exchange information with other home comfort system components and make adjustments as needed to optimize performance and efficiency. Manages the moisture in your home’s air for greater comfort and improved indoor air quality. Uses industry-leading, vibration-isolating mounts and other innovative materials to minimize operating sounds. Operates at low stage most of the time for quieter, more energy-efficient performance. Plus, it uses the U.S. EPA–approved R-410A refrigerant. Heavy-gauge, galvanized steel construction, louver coil guard, baked-on powder finish and durable zinc-coated steel base help provide protection against rust and corrosion. Allows quick, easy access to interior components from all sides, so the unit can be serviced quickly. perfectly cool home. It’s a feeling you can enjoy throughout the summer and all year long with the SL18XC1 air conditioner. The quiet operation of the SL18XC1 comes from the SilentComfort fan motor, which improves efficiency while reducing sound levels. 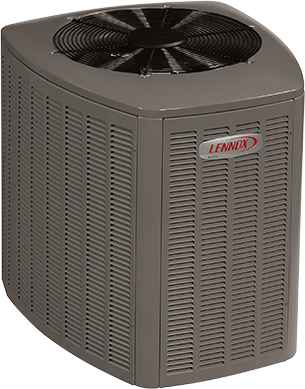 Ruggedly engineered components like the Lennox Quantum coil add to the unit’s reliability, making the SL18XC1 the perfect choice for comfort in any environment. Engineered and tested in coastal areas to help offer corrosion resistance in harsh environments. Provides smooth, efficient and reliable operation. 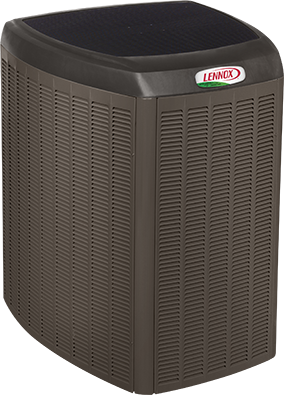 The Elite Series XC20 provides ideal home comfort with the added benefit of lower utility bills. That’s because it is equipped with true variable capacity to perfectly balance comfort and energy use. True variable capacity means the XC20 can constantly adjust the speed at which its compressor operates based on the temperatures of indoor and outdoor air. So it always runs just fast enough to maintain the temperature you set, without using more energy than necessary. That means lower utility bills every month, while delivering outstanding comfort. Provides exceptional heat transfer and low air resistance for high-efficiency operation. Can adjust cooling output in small increments based on demand, preserving quiet operation, energy efficiency and comfort. Prevent damaging moisture from collecting inside the base pan. 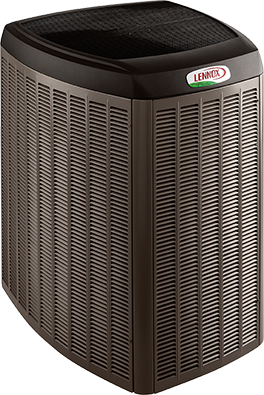 The Elite Series XC16 provides ideal home comfort with the added benefit of lower utility bills. That’s because theXC16 is equipped with two levels of cooling for a higher level of efficiency and comfort. So even when you’re just sitting around the house with your family, home remains the most comfortable place to be. With its two-stage design, the XC16 distinguishes between mild and extremely hot days, using only the energy necessary to keep you comfortable. By mostly running at low stage, it avoids temperature swings in order to reduce energy usage as well as your monthly utility bills. Operates at low stage most of the time for quieter, more efficient performance. Plus, it cools your home using the ozone-responsible R-410A refrigerant. The Elite Series XC14 air conditioner delivers cooling comfort to your home environment while also helping to lower your utility bills. Featuring a precision-engineered scroll compressor, the XC14 provides quiet, efficient and reliable performance on even the hottest days. When sweltering heat makes the outdoors unbearable, nothing feels better than comfortably spending time inside with family. Compared to standard air conditioners, the XC14 can be up to 60% more efficient. That translates into more comfort for your energy dollar, with savings up to hundreds of dollars per year. The XC14 also features a special compressor sound-dampening system that helps ensure smooth, quiet operation.